This is the final installation of a post long overdue. Life has been extremely busy over the last year, yet I did not forget about closing out this five-part series on the Olivet Discourse. In this post I'm going to continue where I left off, which was my promise to show the literary relationship between the last section of the Sermon on the Mount (Matt 25:31-46) with the first section of that same Sermon (Matt 23:1-12). This chiastic literary structure shows that there is a relationship between sections A and A', B and B', C and C', focusing heavily on a central sections (sections C and C') but yet moving forward in an A-B-C-C'-B'-A' trajectory, ending with words, phrases, and concepts that mirror how the Sermon began. Then Jesus said to the crowds and to his disciples, “The scribes and the Pharisees sit on Moses’ seat, so do and observe whatever they tell you, but not the works they do. For they preach, but do not practice. They tie up heavy burdens, hard to bear, and lay them on people’s shoulders, but they themselves are not willing to move them with their finger. They do all their deeds to be seen by others. For they make their phylacteries broad and their fringes long, and they love the place of honor at feasts and the best seats in the synagogues and greetings in the marketplaces and being called rabbi by others. Matthew records Jesus' Sermon on the Mount with a direct address to "the crowds and to his disciples" about another influential group of Jewish authorities they were all familiar with, "the scribes and Pharisees." Nothing could be more clear from the outset that Matthew records a contrast between two groups of disciples-->(1) disciples and observers of Jesus and (2) disciples and observers of respected first century Jewish authorities. In other words, Jesus is shown directing his whole Sermon with a distinction between a group addressed as "you" and a group addressed as "them", and the main difference between the two groups is whom they would choose to listen to, and trust, and follow. Would it be Jesus and his disciples, or the already-established Jewish authorities? According to Jesus, "whoever" had decided to exalt himself would ultimately be humbled, and "whoever" committed to humbling himself ended up being exalted. So, again, the contrast is very clear: people in first century Judea had a choice to make when listening to Jesus' Sermon on the Mount. Whoever followed Jesus and his disciples would be exalted, whereas those who followed the Scribes and Pharisees (who would later indulge in slandering and crucifying Jesus, and also persecute his disciples) would be humbled. Interestingly, Matthew begins this discourse with a unique description of the Scribes and Pharisees, worthy of remembrance. 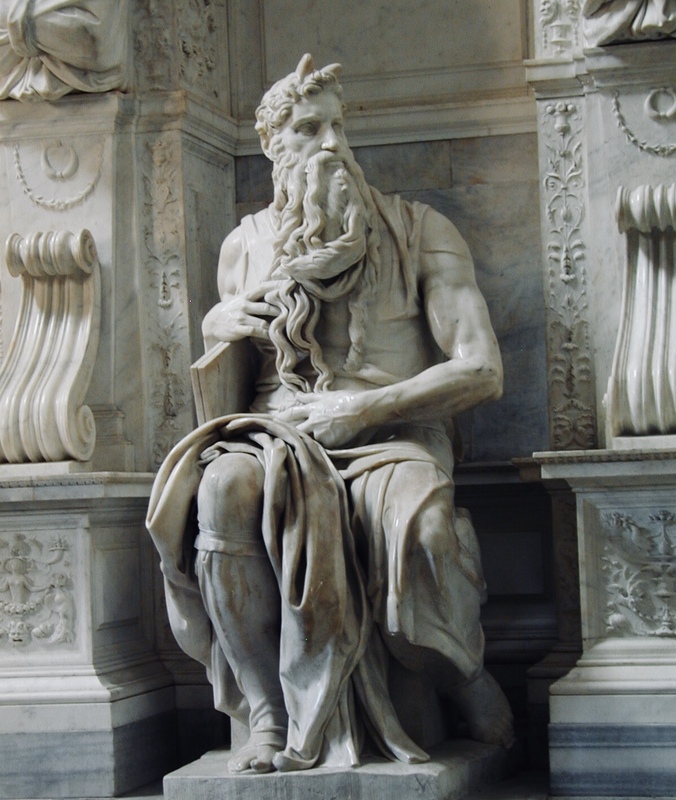 He says "they" are the ones who "sit in Moses' seat". Here, again, it is noteworthy to point out that this action of "sitting" is what begins the Sermon. It is also what Matthew highlights from the teachings of Jesus to end the Sermon. Surely that cannot be a mere coincidence if this is a thoughtful piece of literature, which it clearly is! Now let's dive into section A', the last section of the Sermon in Matthew's Gospel, and look at the way in which Matthew draws together these images from the beginning of the Sermon. Pay special attention to how this section begins with Jesus "sitting" on a throne in the heavens (not Moses' seat on earth, among Jewish authorities), and the repeated contrast that is highlighted between two groups of disciples---> one flock (goats) on the left side, and one flock (sheep) on the right side of Jesus. Do you see the contrast? The scribes and Pharisees "sit" in Moses' seat, the conceptual throne of those guarding and administering Moses' Law, whereas Jesus is described as "sitting on his glorious throne". The scribes, Pharisees, and "whoever" else rejected Jesus in preference for those authorities sitting in Moses' seat are the goats on the left side of Jesus. The disciples who humbled themselves before God, following Jesus and his Apostles would be exalted. They were the sheep on the right side of God. All throughout this five-part series of the Sermon on the Mount I have been showing verse by verse the literary relationship between everything described therein, and at the center of the entire Sermon in a very clear sequence of promises---> promises regarding the signs preceding the end of the Old Covenant, and the signs of the end itself---> promises regarding the signs preceding Christ's coming in judgment upon Jerusalem, and the signs of Christ's coming in judgment itself. So far, from the beginning of Matthew chapter 23, when this sermon began, there has been absolutely zero indication of two separate historical judgments. All references clearly direct the sustained reader to focus upon the soon-coming events leading up to the (now famous and cataclysmic) destruction of Jerusalem and it's precious Temple in AD70, which was the definitive end of the old covenant administration, the end of Moses' so-called "seat". A question remains: Is Matthew 25:31-46 also about the events related to AD70? After all, the scene describes Jesus sitting on his throne, which could possibly refer to another time period other than the events surrounding the destruction of Jerusalem. I think this is still primarily describing the same events, and not some so-called "end of time" scenario. Let me explain some reasons as to why I say that. First, there is absolutely nothing whatsoever in the text itself which implies, infers, or directly states that it's an "end-of-time" event. Rather, it states (in the text itself) that this enthronement scene takes place when the Son comes in glory, which, as we have seen in this series, can only refer to the event of AD70 when the Old Covenant administration (and those sitting in "Moses' seat" within it) finally vanished away and was made completely obsolete (Hebrews 8:13). Secondarily, the scenario describes the Son sitting on "his glorious throne", which describes a host of allusions to the absolute reign of Israel's promised Messiah. Unless we presume (erroneously) that this is describing an event in our future, at the so-called "end of the world" or "end of time", there is no reason to view this scenario as anything other than the definitive reign of Christ over all the earth, which began in the first century and was demonstrated definitively as promised in the end of the Old Covenant in AD70. 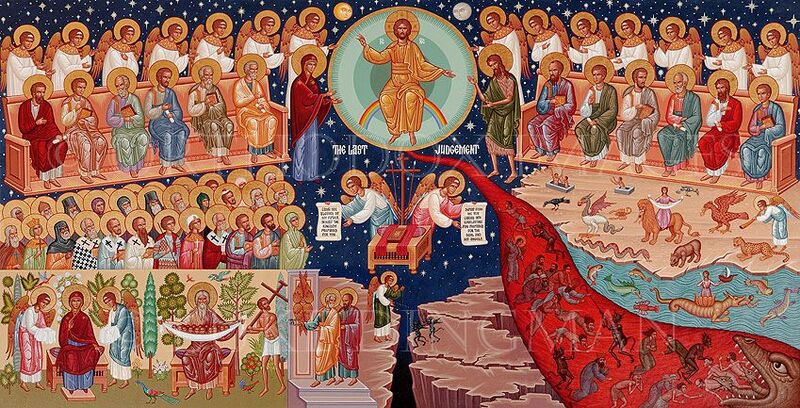 Third of all, it is well within the boundaries of biblical symbolism to imagine this scenario of Jesus enthroned as taking place within the heavenly realm, and not on earth at all. A clue given to us is the language about gathering and separating nations before him. Such a description does not need to entail a gathering of all people from the beginning of time to the end of time, let alone at a location on earth. Indeed, in its close historical context, it is far more likely to envision this gathering of all peoples to describe all those in covenant with God who spread throughout the nations within the first century, those faithful and unfaithful witnesses who had died and descended to "the dead ones" in Hades/Sheol, awaiting vindication/judgment from the living and true God of all times and all locations on earth. In other words, this "final judgment" scene is likely describing, in it's first century Messianic context, a gathering of people, faithful and unfaithful, who had died prior to and during AD70 while the reign of the Old Covenant administration was still in place. Yes, I said that correctly. There is no reason to describe this gathering and separating as a description of a singular, "final judgment" of all people at the end of all time. Rather, in context, it is exponentially more likely to be describing the time of the promised end in which the New Covenant would be administered throughout the world without hindrance by those insisting upon life under the Old Covenant administration. As I have noted throughout my exposition of Matthew's Gospel, Jesus was very clear about "the end" taking place in that generation. The harvest where reaping and gathering takes place is in "the end of the age," the same "end" described throughout this Sermon on the Mount and elsewhere (e.g. I Cor 10:11; Heb 9:26). This might be the last part of a series I started earlier this year. I don't know for sure if it's the last post, but it might be. If it's not the last post, there will only be one more, final post in this series. This series is all about the Olivet Discourse, which can be found in the Gospel of Matthew, chapters 23-25. 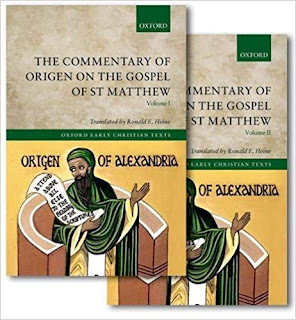 In many places of this blog I have already discussed the larger literary structure of Matthew's Gospel, as well as many micro-literary structures within their larger literary sections of discourses and narratives. In the previous post I also typed up a lot of quotations from Church Fathers, covering the span of about a thousand years, most of whom also lived within the first six centuries, and all of whom interpreted Jesus' initial response (i.e. the first set of answers found in 24:4-22) to his disciples' three consecutive questions in 24:1-3, "when will these things be, and what will be the sign of your coming, and [what will be the sign] of the end of the age? ", as prophesying the persecution of the early Christian Church, the Jewish wars, and the destruction of Jerusalem in AD70. Likewise, many Church Fathers interpreted the last response of Jesus (i.e. the third set of answers found in 24:36-25:30) as prophesying the "end" of the physical world we live in today, and not the Jewish wars or destruction of Jerusalem in AD70. As noted in the last two posts (here and here), many Church Fathers have assumed that Jesus was answering the first of his disciple's questions first. And as I also pointed out, Jesus was actually answering the third question first. When the disciples asked their third question, "and [what will be the sign] of the end of the age? ", Jesus answered that question first, not third. I realize that's a significant claim, and significant claims require significant evidence. That's why in this post I'm going to walk you through each literary section pertaining to Jesus' answers. All I'm going to point out are the literary parallels. If you pay attention, you will see what I mean. I can assure you of that. It's obvious once the literary parallels of each section are mapped out for you (which is what I'm going to present next). Below is the actual text of this basic structure. And Jesus answered them, “See that no one leads you astray. For many will come in my name, saying, ‘I am the Christ,’ and they will lead many astray. And you will hear of wars and rumors of wars. See that you are not alarmed, for this must take place, but the end is not yet. For nation will rise against nation, and kingdom against kingdom, and there will be famines and earthquakes in various places. All these are but the beginning of the birth pains. Then they will deliver you up to tribulation and put you to death, and you will be hated by all nations for my name’s sake. And then many will stumble and betray one another and hate one another. And many false prophets will arise and lead many astray. And because lawlessness will be increased, the love of many will grow cold. But the one who endures to the end will be saved. And this gospel of the kingdom will be proclaimed throughout the whole world as a testimony to all nations, and then the end will come. So when you see the abomination of desolation spoken of by the prophet Daniel, standing in the holy place (let the reader understand), then let those who are in Judea flee to the mountains. Let the one who is on the housetop not go down to take what is in his house, and let the one who is in the field not turn back to take his cloak. And alas for women who are pregnant and for those who are nursing infants in those days! Pray that your flight may not be in winter or on a Sabbath. For then there will be great tribulation, such as has not been from the beginning of the world until now, no, and never will be. And if those days had not been cut short, no human being would be saved. But for the sake of the elect those days will be cut short. Notice all of the explicit literary parallels. It is only in this section of the Olivet Discourse where "the end" is mentioned by Jesus. "What end? ", you might be asking. The "end" of the old covenant in AD70 is the most obvious answer, which is also what the early Church Fathers interpreted these verses as meaning, because the historical parallels and time indicators within the text are crystal clear if someone is familiar with the history of the Jewish wars leading up to Jerusalem's destruction. (There are many excellent books about that subject, but some very concise ones can be found here and here.) But there are more parallels to be found. Famines and earthquakes will be found in various "places", but the abomination of desolation as spoken of by Daniel the Prophet will be found in "the holy place." Interestingly, Luke 21:20-22 associate this timing of the "abomination of desolation" with Jerusalem being surrounded by armies. There are also signs preceding the "end" of the age, signs of tribulation that are merely the "beginning" of birth pangs. The actual sign of the "end" of the age coming to a close is described as "great tribulation" after a period of time when the people of Israel are told to flee from Judea to find salvation. Question #2: "...and what will be the sign of your coming"
Then if anyone says to you, ‘Look, here is the Christ!’ or ‘There he is!’ do not believe it. For false christs and false prophets will arise and perform great signs and wonders, so as to lead astray, if possible, even the elect. See, I have told you beforehand. So, if they say to you, ‘Look, he is in the wilderness,’ do not go out. If they say, ‘Look, he is in the inner rooms,’ do not believe it. For as the lightning comes from the east and shines as far as the west, so will be the coming of the Son of Man. Wherever the corpse is, there the vultures will gather. Immediately after the tribulation of those days the sun will be darkened, and the moon will not give its light, and the stars will fall from heaven, and the powers of the heavens will be shaken. Then will appear in heaven the sign of the Son of Man, and then all the tribes of the land will mourn, and they will see the Son of Man coming on the clouds of heaven with power and great glory. And he will send out his angels with a loud trumpet call, and they will gather his elect from the four winds, from one end of heaven to the other. From the fig tree learn its lesson: as soon as its branch becomes tender and puts out its leaves, you know that summer is near. So also, when you see all these things, you know that he is near, at the very gates. Truly, I say to you, this generation will not pass away until all these things take place. Heaven and earth will pass away, but my words will not pass away. In the heavens appeared a vision of armies in conflict, of glittering armor. A sudden lightening flash from the clouds lit up the Temple. The doors of the holy place abruptly opened, a superhuman voice was heard to declare that the gods were leaving it, and in the same instant came the rushing tumult of their departure. But someone might still ask, "What was meant by him 'coming on the clouds of heaven', or 'the sun being darkened and the moon not giving it's light', or 'the stars falling from heaven', or 'the powers of the heavens being shaken'?" People today usually assume that such a description must be prophesying events yet to take place after today (e.g. after 2018 AD). But that is mistaken. It's actually a series of cosmic themes woven throughout Israel's Scriptures. The Sun, Moon, and stars were understood to be symbols of both earthly and heavenly rulers (e.g. Judges 5:19; Genesis 37:9), whereas mountains and "land" (often, and unfortunately, mistakenly translated as planet "earth" in English Bibles) were associated with temples and empires. Behold, the day of the Lord comes, cruel, with wrath and fierce anger, to make the land a desolation and to destroy its sinners from it. For the stars of the heavens and their constellations will not give their light; the sun will be dark at its rising, and the moon will not shed its light. I will punish the world for its evil, and the wicked for their iniquity; I will put an end to the pomp of the arrogant, and lay low the pompous pride of the ruthless. For the Lord is enraged against all these nations, and furious against all their heavenly host; he has devoted them to destruction, has given them over for slaughter. Their slain shall be cast out, and the stench of their corpses shall rise; the mountains shall flow with their blood. All the hosts of heaven shall rot away, and the skies roll up like a scroll. All their host shall fall, as leaves fall from the vine, like leaves falling from the fig tree. Thus says the Lord God: I will throw my net over you with a host of many peoples, and they will haul you up in my dragnet. And I will cast you on the ground; on the open field I will fling you, and will cause all the birds of the heavens to settle on you, and I will gorge the beasts of the whole earth with you. …When I blot you out, I will cover the heavens and make their stars dark; I will cover the sun with a cloud, and the moon shall not give its light. All the bright lights of heaven will I make dark over you, and put darkness on your land, declares the Lord God. I looked on the earth, and behold, it was without form and void; and to the heavens, and they had no light. I looked on the mountains, and behold, they were quaking, and all the hills moved to and fro. Then the earth reeled and rocked; the foundations also of the mountains trembled and quaked, because he was angry. Smoke went up from his nostrils, and devouring fire from his mouth; glowing coals flamed forth from him. He bowed the heavens and came down; thick darkness was under his feet. He rode on a cherub and flew; He came swiftly on the wings of the wind. He made darkness his covering, his canopy around him, thick clouds dark with water.Out of the brightness before him hailstones and coals of fire broke through his clouds. The Lord also thundered in the heavens, and the Most High uttered his voice, hailstones and coals of fire. Behold, the Lord is coming out of his place, and will come down and tread upon the high places of the earth. And the mountains will melt under him, and the valleys will split open, like wax before the fire, like waters poured down a steep place. And it will come about in that day, declares the Lord God, that I shall make the sun go down at noon and make the earth dark in broad daylight. God came down from Teman, and the Holy One from Mount Paran. ...He stood and measured the earth; he looked and shook the nations; then the aged mountains were scattered; the everlasting hills sank low. …The mountains saw you and writhed; the raging waters swept on; the deep gave forth its voice; it lifted its hands on high. The sun and moon stood still in their place. But you have come to Mount Zion, to the city of the living God, the heavenly Jerusalem. You have come to thousands upon thousands of angels in joyful assembly, to the church of the firstborn, whose names are written in heaven. You have come to God, the Judge of all, to the spirits of the righteous made perfect, to Jesus the mediator of a new covenant, and to the sprinkled blood that speaks a better word than the blood of Abel. Hopefully now you're beginning to see how clearly the Olivet Discourse utilized well known cosmic imagery to describe the persecution of the early Christian church, the Jewish wars of 66-70AD, and the destruction of their temple. Question #1: "…when will these things be?" But concerning that day and hour no one knows, not even the angels of heaven, nor the Son, but the Father only. For as were the days of Noah, so will be the coming of the Son of Man. For as in those days before the flood they were eating and drinking, marrying and giving in marriage, until the day when Noah entered the ark, and they were unaware until the flood came and swept them all away, so will be the coming of the Son of Man. Then two men will be in the field; one will be taken and one left. Two women will be grinding at the mill; one will be taken and one left. Watch therefore, for you do not know on what day your Lord is coming. But know this, that if the master of the house had known in what part of the night the thief was coming, he would have stayed awake and would not have let his house be broken into. Therefore you* also must be ready, for the Son of Man is coming at an hour you do not expect. Who then is the faithful and wise servant, whom his master has set over his household, to give them their food at the proper time? Blessed is that servant whom his master will find so doing when he comes. Truly, I say to you, he will set him over all his possessions. But if that wicked servant says to himself, ‘My master is delayed,’ and begins to beat his fellow servants and eats and drinks with drunkards, the master of that servant will come on a day when he does not expect him and at an hour he does not know and will cut him off and put him with the hypocrites. In that place there will be weeping and gnashing of teeth. As you probably noticed, this third section is much longer than the previous two sections. I don't know why that is. It just is. But all four sections are clearly parallel and structured by a symmetrical A-B-A'-B' pattern. In this third section, part one (24:36-44) mirrors the content of part one-prime (25:1-13), and part two (24:45-51) mirrors the content of part two-prime (25:14-30). The literary parallels are absolutely unmistakeable. The disciples ask, "when shall these things be? ", and Jesus responds with time statements. Part one says, "concerning that day and hour, no one knows... watch therefore...". Part one-prime ends with "watch therefore, for you know neither the day nor the hour." Parts one and one-prime both mention marriage imagery, which is unique to those sections alone, showing that they clearly parallel each other. In part two Jesus interjects with a description of a "servant" and some other "servants" who are anticipating the "coming" of their "master." In part two-prime Jesus interjects again, only this time he offers a parable about "servants" and when their "master" comes in judgment to collect debt. Unique to parts two and two-prime is the emphasis upon such wicked "servants" encountering a place of "weeping and gnashing of teeth." Like I said earlier, the parallels are glaringly obvious. I also hope this series has been helpful so far. It has taken me a while to type it all up. All discussion that is left of the Olivet discourse is with the closing section, 25:31-46. As I mentioned in the first post of this series, the closing section mirrors chapter 23:1-12. I think I have typed enough for one evening. I guess that means I will have to save that post for last. * The "you" of the Greek text is second person plural.